Here at DoYouYoga, we love it when members share the love with photos of themselves whether they are achieving new feats, laughing at mistakes, taking yoga on their travels, or just practicing with the kids. Today's inspiration comes from the DoYouYoga community in it's varied and natural habitats. Thank you all for sharing, and give us a holler if you see your own picture! 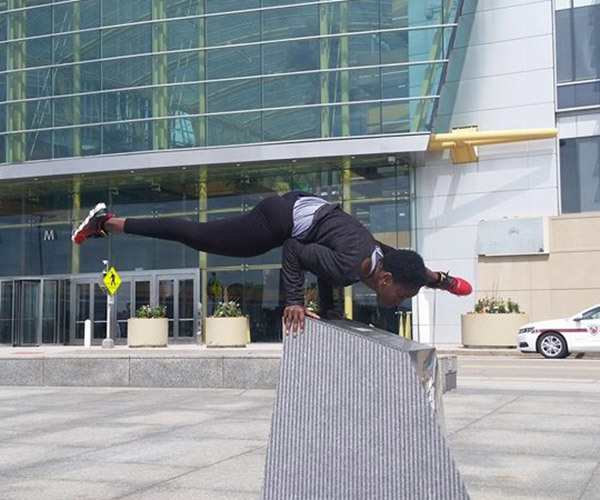 How do you take yoga out into your surroundings? Add your photos in the comment section! 1. 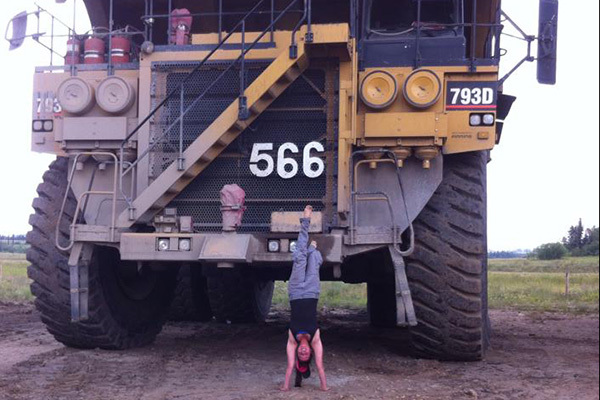 Daniela shows us how a yogi leans up against a tractor--by flipping up into Handstand! 2. Doesn't every city need more trees? Eliza stacks hers up with the skyscrapers. 3. This is how Angelic Linguist fits a quick inversion into his busy day. 4. Minnie knows just how to get off her feet for a quick break. 5. 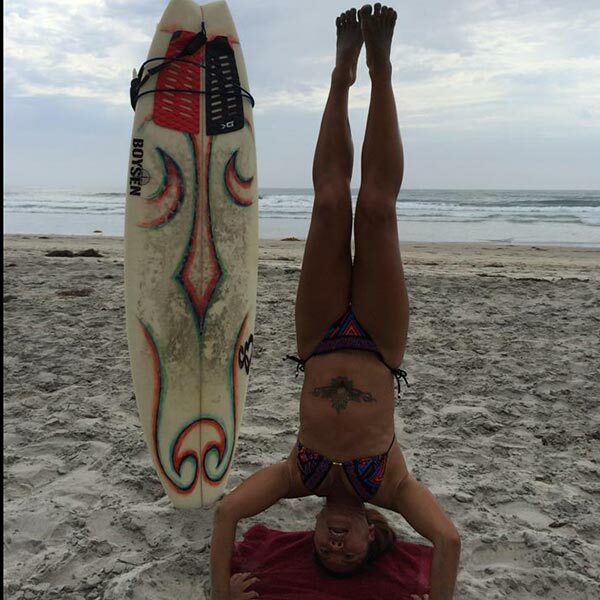 Raquel takes a beach break to blend her yoga with some local art. 6. 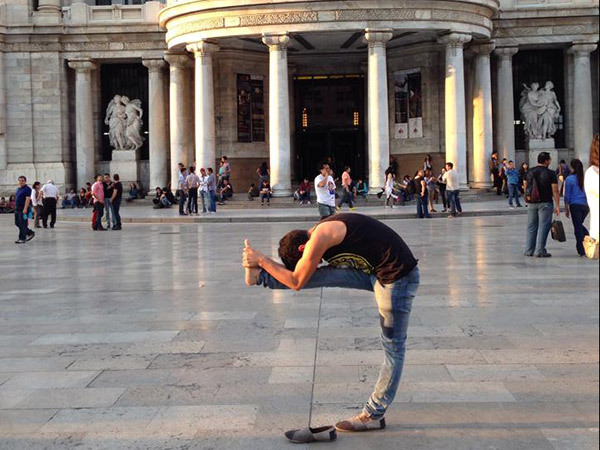 How do you both get your yoga practice in and add to the beauty of a city's architecture? 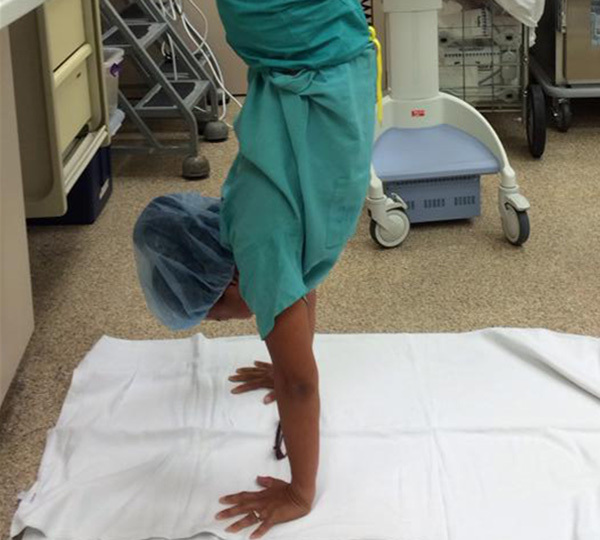 Alisha's stellar arm balance is one great way! 7. 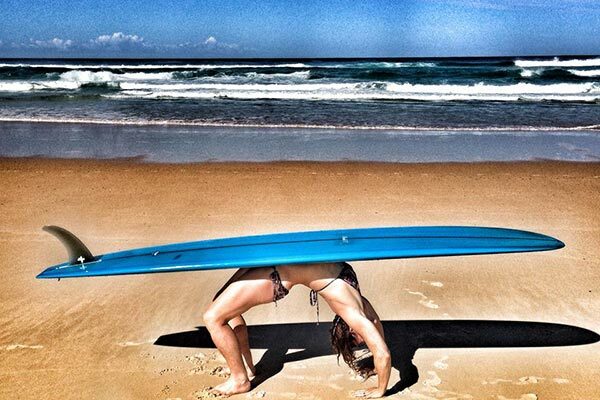 Most surfers spend the day on top of their boards, but Georgie switches that up with her Wheel Pose. 8. Lovi Moment does yoga with her surf board too! 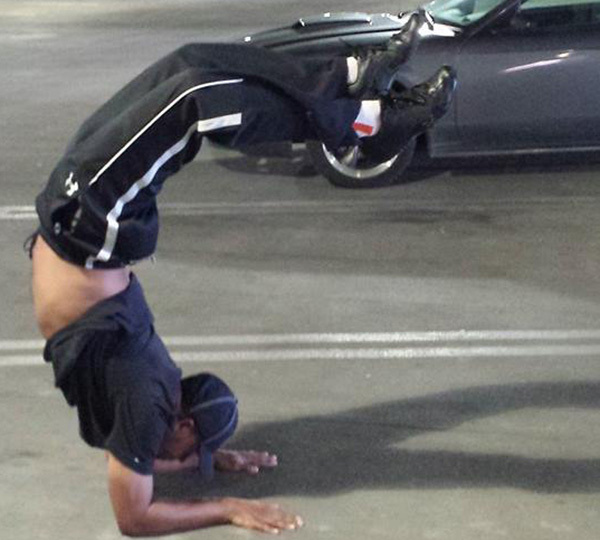 They can do Headstands together! 9. Julio ditches his shoe and displays his balancing prowess to complement his surroundings. 10. Out and about in Seoul? Follow Emma's lead and strike a pose! Thanks to everyone for sharing these wonderful photos! We could all use a little more yoga love, so let us know how you find your opportunities to strike a pose in the comment section!